A U.S. study proving porcine epidemic diarrhea can be transmitted through feed has Canadian veterinarians on alert. Feed containing dried porcine plasma has been linked to PED transmission and has led most producers to stop using products containing those ingredients. However, the latest study shows the illness can be spread through other feed and even feed dust. Dr. Frank Marshall, an Alberta-based veterinarian with Marshall Swine Health Services, said the U.S. research shows the need for Canadian producers to ensure feed suppliers have strict protocols in place. 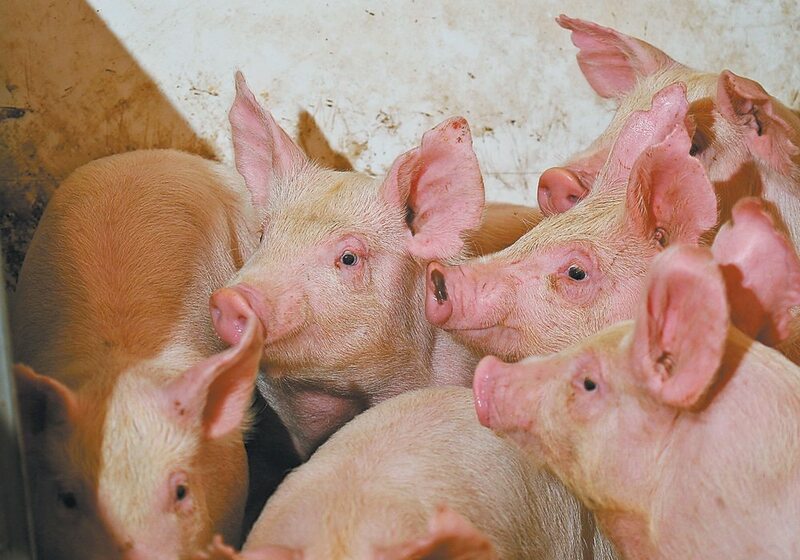 “They were able to clearly show that this is certainly a method by which we can transmit PED,” Marshall said in an Alberta Pork conference call Aug. 22. PED virus is almost always fatal to young piglets and reduces production efficiency in infected hog operations. To date it has killed an estimated eight million piglets in 30 U.S. states and is considered endemic. In Canada, PED has affected 63 farms in Ontario and one each in Manitoba, Quebec and Prince Ed-ward Island. The last reported Canadian case was confirmed July 22 in Ontario. Marshall said Canadian monitoring and testing has revealed PED presence in various feeds and some byproducts. Dr. Julia Keenliside, veterinary epidemiologist with Alberta Agriculture, shared Marshall’s concerns about feed as a PED vector. “I agree that there seems to be a case now for feed being contaminated beyond just porcine byproducts,” she said. Keenliside said two feed samples, tested outside Alberta, were positive for PED, but the material never came into contact with pigs and the feed companies involved were quick to respond and co-operate. Cooler weather favours PED, and both veterinarians warned producers to review biosecurity and in-crease vigilance as fall and winter approach. Keenliside said fall manure spreading also increases risk of spread. The seasonal nature of PED is evident when looking at U.S. numbers, which rose markedly last winter and spring, she added. The U.S. made PED a reportable disease in June. It is also a reportable disease in Alberta ,and Keenliside encouraged producers to come forward quickly if they suspect the virus has infected their animals. The province will not impose quarantine if positive cases are found, she said. It will work with producers and veterinarians on traceback to contain and eliminate the virus. “Early reporting and early detection and early containment is really the way to go here and is our only chance of containing a break should it occur in Alberta,” she said. 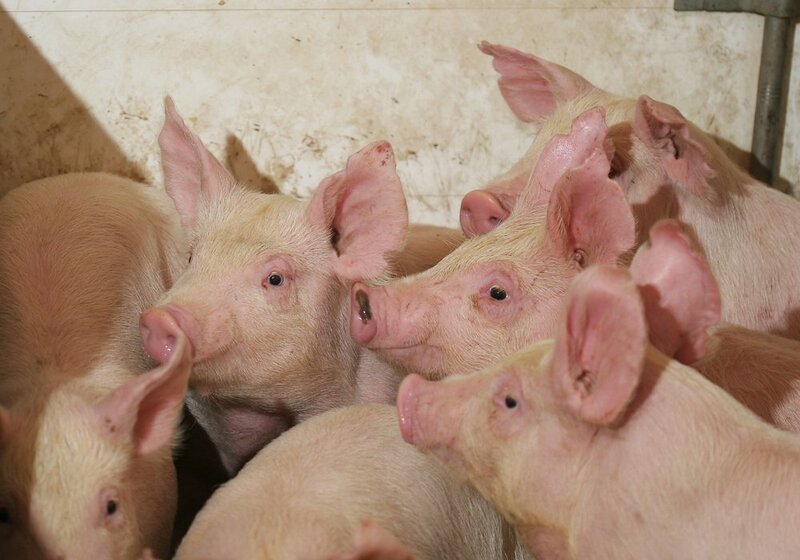 Ben Wooley, vice-president of Sunterra Farms, said his company, which manages 350,000 pigs in “PED central” of northwestern Iowa and South Dakota, has managed to keep 80 percent of its nurseries free of PED. Sunterra also manages 13,000 sows in Alberta and Ontario. Wooley has prepared a checklist for producers designed to help them remain PED-free. It is posted on the Alberta Pork website. “We feel reasonably confident that we know how to keep it out. We have had (PED outbreaks) and some we’ve been able to identify the source and some not,” Wooley said about the company’s U.S. sites.